The Zia Elementary School Video Club was started by me, the club sponsor, in the 2006-2007 school year. That first year, we had approximately 8 kids, interestingly all girls. Since then, the club has grown each year in numbers of students as well as the quantity and quality of videos. This year we have 20 students and we’ve had to turn children away due to a lack of adults available to supervise the students. The club meets directly after school twice a week for approximately 90 minutes each session. Students at the school in grades 4 and 5 are eligible to participate. There is an application to join that addresses student interest, motivation to make videos, as well as commitment and ability to work with others. Many of the fourth graders reapply in fifth grade becoming knowledgeable experts to help newcomers along. The students meet in the school computer lab and each have access to their own computer. A unique log-in account allows students to use multimedia orientated software including iMovie (video editing), Scratch and Pencil (animation), Celtx (multimedia production and scriptwriting), Comic Life (comic making), Photo Booth (image capture), and others. In addition, students have access to multiple camcorders, tripods, digital still cameras, LCD projectors, a portable digital sound recorder and other technological tools. There is no curriculum. Really. 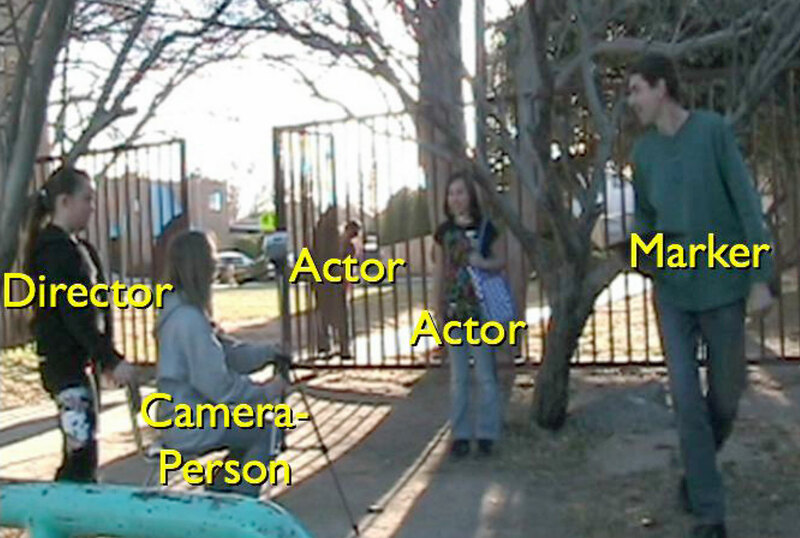 Students learn “on the job” and once they know how to do a task such as camera operation or specific video editing moves, they are expected to teach their classmates. As a testament to this, at the beginning of the year two kids knew the password to get into the “Video Club” computer login. This vital information was spread around quickly and remembered on the first day. I rarely have to repeat myself because information is learned in a “just in time” and “need to know” basis. In addition, there are 21 “instructors” in the class and we all know different things. There is no fee for the students to participate in the program and neither the club sponsor nor any school volunteers are paid. The club is a partnership between the club sponsor and the school. Any consumables (paper and printing, DV tapes, DVDrs, etc.) are donated by the school. As of date, the club has produced, on average, a dozen videos a school year. Of note, this is roughly the same number a large film studio produces in a year.